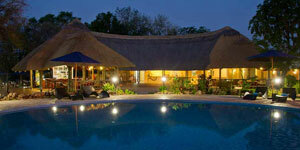 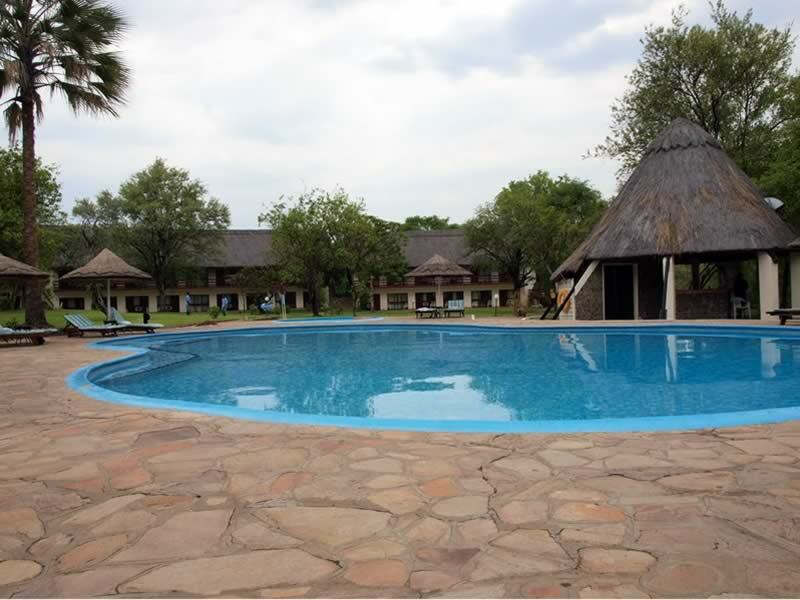 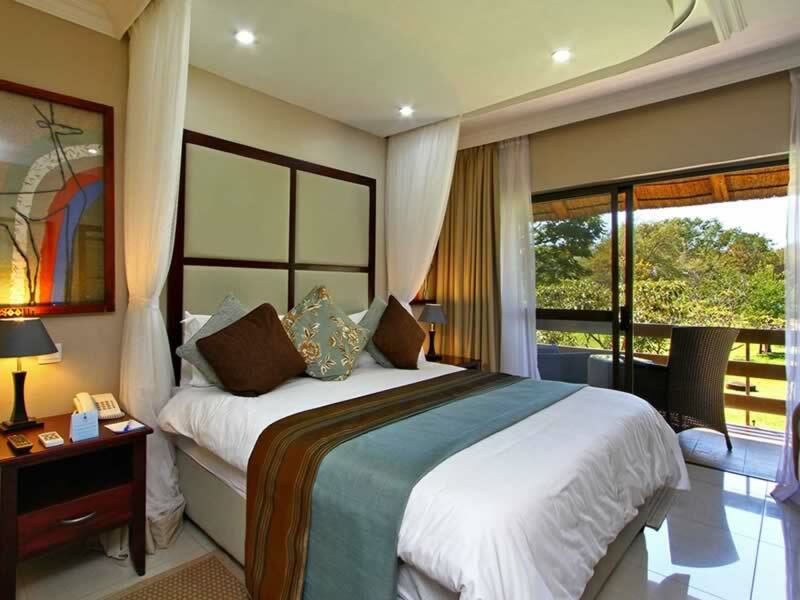 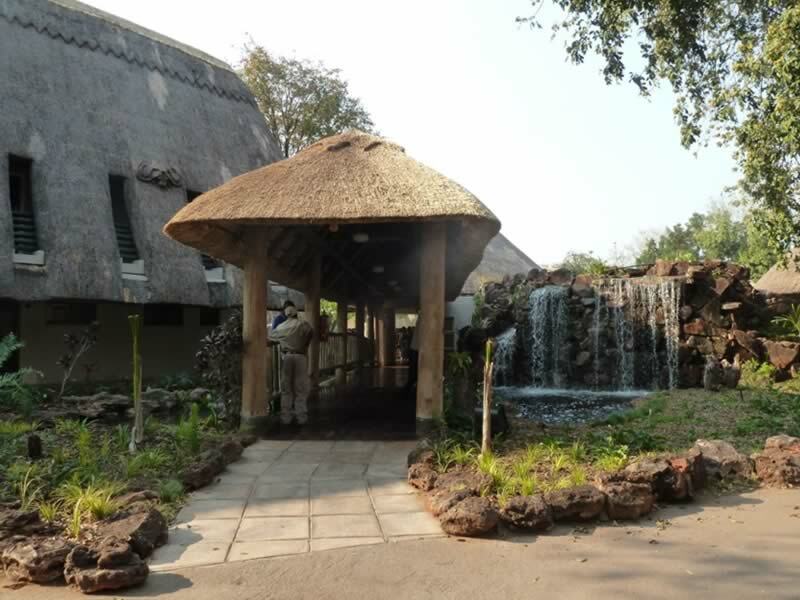 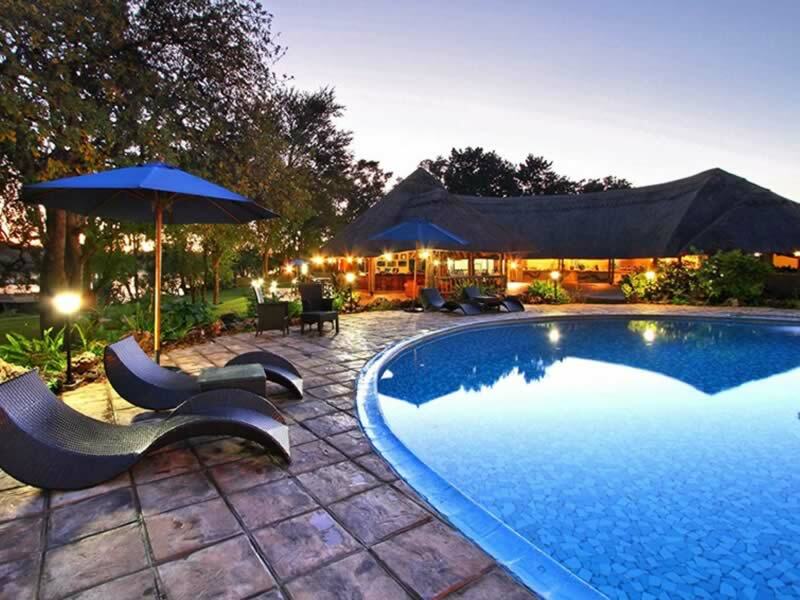 The hotel is a perfect retreat in the quiet ambiance of African wildlife and nature, enjoying renowned services. 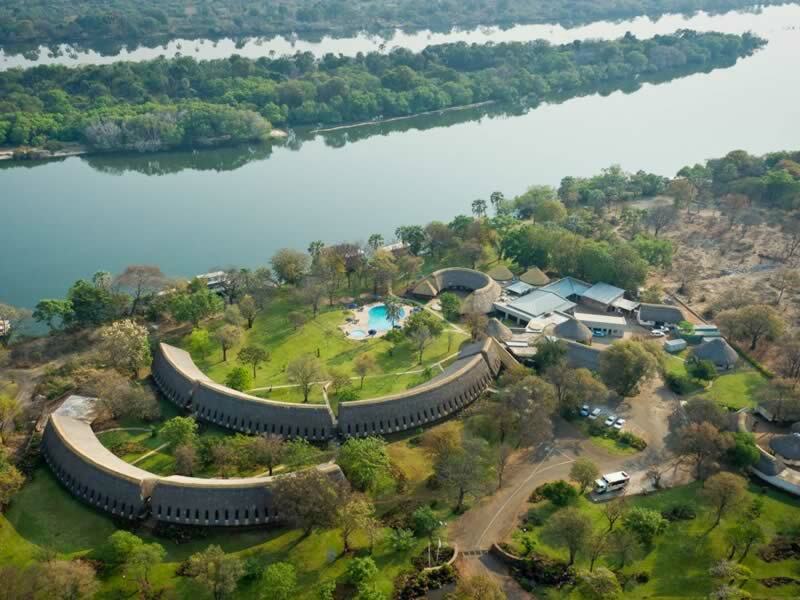 This scenic lodge is beautifully situated on the banks of the mighty Zambezi river to offer visitors a true African experience. 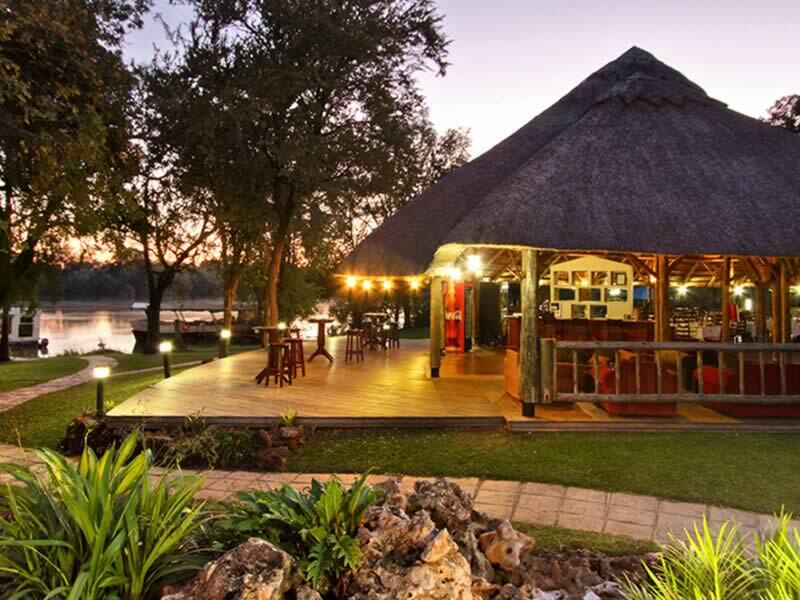 Only four kilometres from the Victoria Falls, sight seeing is always close at hand. 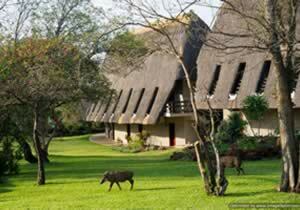 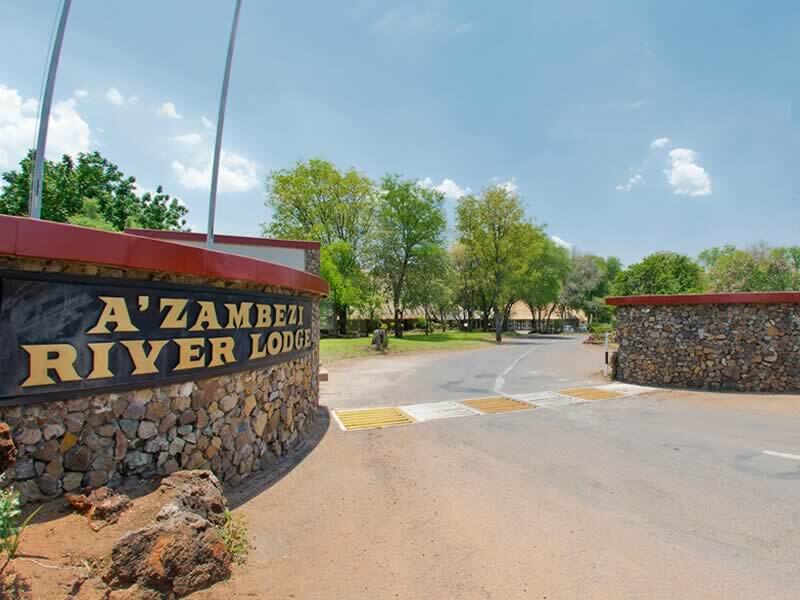 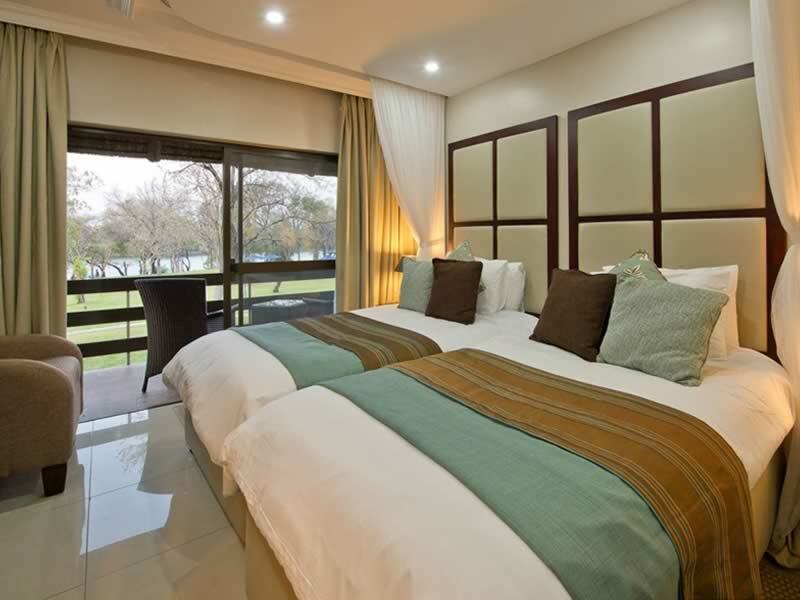 A'Zambezi has a beautiful river-side setting with sweeping lawns to the banks of the Zambezi river. 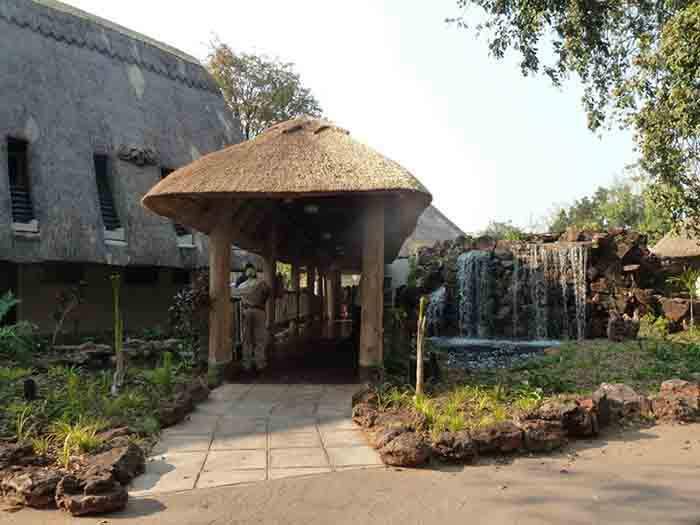 Relax at the Safari Bar adjacent to the swimming pool, or visit the cocktail bar in the evening before dinner. 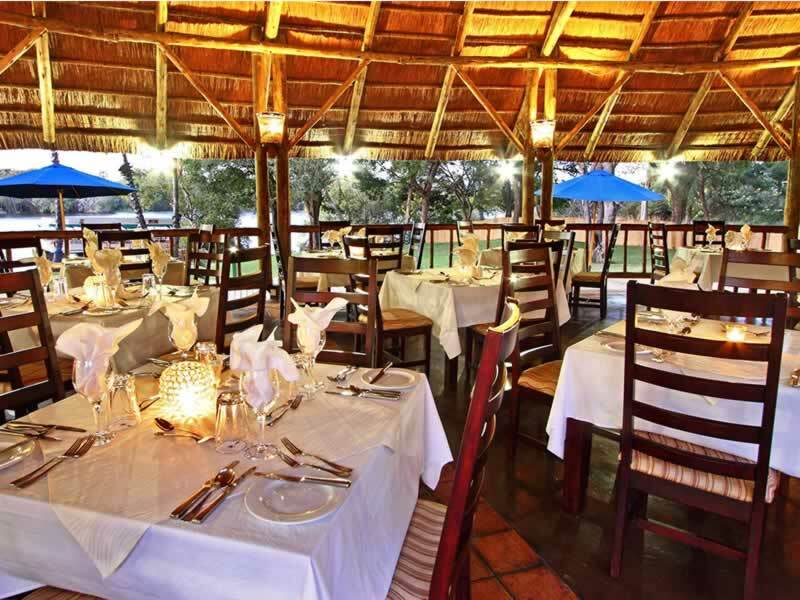 * It caters for up to 180 diners and it's open-air style allows guests to dine al fresco with live African music and dancing every night.